Today is the Feast of St. James the Greater. 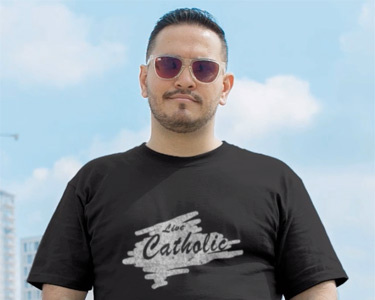 Remember, he was the brother of John. Jesus referred to the brothers as Boanerges (Sons of Thunder). During this morning’s homily, the priest opined that, perhaps, they had fiery temperaments. Could be. I know a few people like that. The Gospel reading for today’s Feast of St. James the Apostle is fascinating. In Matthew 20:20-28, James’ and John’s mother asks Jesus for a little favor: “Command that these two sons of mine sit, one at your right and the other at your left, in your Kingdom.” Jesus replies, “You do not know what you are asking. Can you drink the chalice that I am going to drink?” When they replied, “We can,” Jesus said, “My chalice you will indeed drink, but to sit at my right and at my left, this is not mine to give but is for those for whom it has been prepared by my Father.” Even though I’ve read this passage many times, something interesting struck because of a scripture verse I read in First Kings just yesterday. I’m presently reading through the Old Testament and am at the part where Solomon is enthroned as king after King David’s death. In 1 Kings 2:19, King Solomon had a throne made for his mother, Bathsheba, and she sat down at his right hand. In Israel OT times, the queen was the King’s mother, not the king’s wife (of which there were typically many). 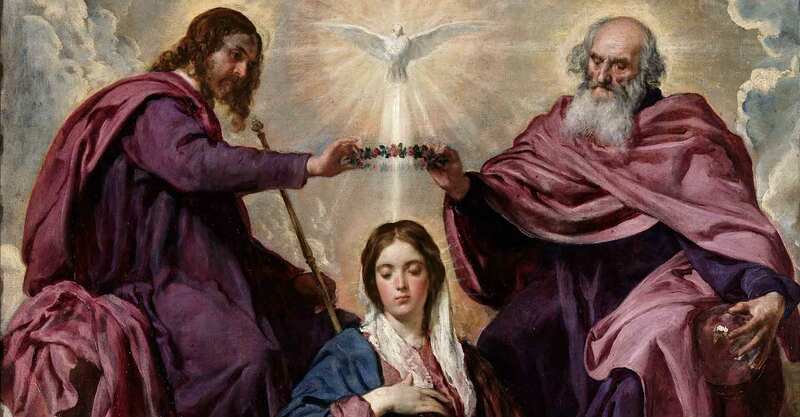 This Davidic Kingdom pattern of elevating the mother as queen, setting her at the right hand of the king, points to God’s Heavenly Kingdom and the reality of who our Mother Mary is in the heavenly realm. Jesus, the “Son of David” sits enthroned forever, with his mother Mary at his right hand. But does she meet Jesus’ own requirements to do so, as per the question he asked James and John? “Behold, this Child is appointed to cause the rise and fall of many in Israel, and to be a sign that will be spoken against, so that the thoughts of many hearts will be revealed—and a sword will pierce your soul as well” (Luke 2:34-35). Read more about Mary as the Mother of the Church and the faithful. Mary shared in the suffering of Jesus like no other human being. When James and the other disciples fled, she remained with him throughout his many sorrows, miseries, crucifixion and death. Her heart was certainly pierced as well. She, too, drank the cup of suffering. I can’t even imagine. Mary, Queen and Mother, blessed among women, be our advocate and consolation—you, who have the ear of our King. Pray for us now and at the hour of our death. Amen. St. James, pray for us, too.